Clarke rushed back into Sarah's Sanctuary and saw Altaria's pokeball. He grabbed it. He chucked it into his bag and looked at the amount pokeballs he had in there. He didn't want to say goodbye to his pokemon but he had to. He took out the ones he thought Sarah should keep. He stared at the pokeballs. "Look guys," He said hoping no one was listening, "I don't really want to leave you but I don't know how this 'journey' will end. So just remember I love you all and I wish you enough." Clarke finished. He walked towards Sarah. "Sarah would you mind taking care of these pokemon for me? I can't deal with them now. I'd really appreciate it. What do you say?" Sarah was surprised to see Clarke return in such a hurry. Really, she wanted to know what exactly was going on, but she really didn't get the chance. By the way Clarke was acting, the worse was finally over. She felt more reassured knowing that, for now anyway. As Sarah watched in the distance, Clarke acted quite oddly. She saw him take a party of pokeballs from his bag, muttering something to them about 'wishing enough'? She didn't quite understand. "Hm?" Sarah seemed inquisitive at first when he approached her, but soon smiled gracefully, "Of course I'll take care of your pokemon. We could always use the help around the Sanctuary, and your friends won't ever be lonely with the others to rough-house! Believe me!" she quietly laughed. Looking up at Clarke, she turned her head in a question, "What you said to them, though? What did you mean by it? 'Wishing enough'?" Matt felt a sense of pride as he returned Lapras. "We won...we won!" He jumped and ran to the others and came to Diseh and the other two. Matt put his arm around Jet, supporting him up as much as he could. "Thanks for the help back there. If it weren't for you they could have really been hurt." He looked up at Diseh and nodded to him before looking bak to the ground and thinking hard. I only have 5 pokemon...and they aren't much of fighters at all. I gotta do something...or they could...die... His face contorted. "I need to see Sarah." He peeked through and saw her speaking with Clarke. "Maybe later..."
Jimmy returned Feraligatr and sighed. "What a guy..." He looked at where Entei once stood and crossed his arms. "Just goes to show how much stronger we need to be to take out the other two." He looked up at the three pokemon and smirked. "From death, dawns new life." He remebered those words from an old story he was told as a child. He gave Venusaur a salute before making his way back across the field to Diseh and propped Spence up onto himself. "Thanks for lookin over him, Droog. Without this old timer the team would probably be in ruins." He laughed lightly. "So...about Psyche...are they really everything they're cracked up to be..."
Clarke had welled up slightly due to the fact of leaving some of his dearest pokemon behind. "What you said to them, though? What did you mean by it? 'Wishing enough'?" Clarke heard Sarah say. "My grandparents used to say it all the time and was passed through my family for generations," Through his tears Clarke began to smile, "I means that you wish the person enough sun to understand rain, enough rain to appreciate the sun, enough light to except darkness, enough darkness to welcome light, enough health to reason with sickness, enough sickness to enhance health, enough love to neglect hatred, enough hatred to always be loved. I don't fully understand it but, I think I can relate to it. My whole life it's been me and my siblings. Our lifes were not perfect but we always had enough. Sure a slightly larger bowl of soup or a slightly warmer bed would have been better but we had enough," Clarke looked down to his watch and reallised he had probably over-reached the expected time limit that Diseh had. He swipped his hair from his face and removed any remaing tears. "Thank you, Sarah." He walked out to the others. Red called back his pokemon. He walked over to the group, " So what do we do after we get to the base? Psyche will have this entire area being seached by tracking clones in a matter of time." Red looked at Diseh, " Is your base secret enough to elude pokemon made to track things?" Red thought about his old base in Kanto. They found them even though our base was supposed to be "top secret" as well. I don't want something like to happen to anyone. Red shook the thought out of his head. No! I'm more prepared then I was then. If we're found then I can fight them off or at least buy Midnight time to escape. Matt walked in after Clarke quietly looking at the floor. "Umm...Sarah...do you think you could..uhh..." He looked away and handed her 2 pokeballs. "Keep these safe for me? They're not very experienced...and I don't want them to get hurt." He gulped. "My Rattata and Butterfree. They can be helpful around here...but not for what we're doing..." He turned away fast with a frown. "Please take care of them." Sarah waved when Clarke left. Suddenly, a tear fell from her cheek. She quickly wiped it away as Matt came in. Clarke really got to her. "Hey, Matt!" she smiled brightly, "What's on your mind?" When Matt handed her the two pokeballs and turned away, she started to frown. "Of course, I'll take care of them for you..." he smiled slightly, "But..." Sarah glared to the ground, about to ask a question, she was done being out of the loop, "What's going on? Are you guys going somewhere dangerous right now? I know you're after Psyche, but... I just want to know that much. And..." she sighed, knowing she was going to be let down, that man couldn't possibly be the same person she thought it was, "...Who was that man who was leading you? Diseh." Diseh chuckled, turning his back to them. "Oh, don't worry about Psyche's clones raiding the spot anymore!” he was mainly pointing that out to Red, who still seemed a bit uneasy, "Before I thought for some reason Jet alerted our Master, my old boss. You know, the boss giving Ki and Xalia orders? But Jet didn't, which is good, the stuff I did back at the Psyche Building saw to that. The best Psyche could do is send Entei accompanied by those other two clones, Regice and Zapdos. They shouldn't know where we are, and besides, they have more important matters to deal with. We shouldn't be bothered for awhile, which is the best time to do some old-school underground-style training, hehe," he chuckled lightly, oh was it going to be all sorts of fun. Diseh turned to the guys, looking to Jimmy, "Of course. You know what I'm capable of, and you've all seen what Ki and Xalia can do with your own eyes, one way or another," he turned to the side, looking over his outstretched arm, "Yeah. Initially, all the clones we've created; that's what Psyche actually is, who you've fought so far. And then there's our Master who created us. 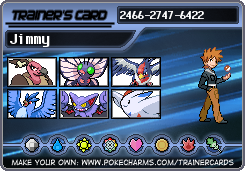 After that, there's Team Aqua, but that's another story. Back in the good old days of 2012, Team Aqua's old head honcho Archie made a deal with our Master, and making a deal with our Master is like making a deal with the devil, if you know what I mean. Ki saw to him later on when Archie decided to try and destroy what Psyche was with the Kyogre we gave them, after that, Psyche had full influence on Team Aqua. So, when it comes down to the grit, Psyche is everything; Team Aqua, the pokemon clones, Ki and Xalia... They're all under the one who controls them. And only I have a clue on who our Master might actually be... But I'll keep that my little secret for now." Diseh huffed, sniffing, "I betrayed them and our Master back at the Psyche Building. When most of you guys were in the holds, I created a clone against the will of our Master and I used that clone to kill the President---"
He continued, so everything in the flashback the group would now know. In a misty lab, Diseh chucked a packet of cigarettes to the lifeless corpse they left behind of Spence. A young silver spiky-haired warrior stood by Diseh. He smirked, leading the young person equipped with Spence's own sword outside the automated door. Moments later, Spence yelled out and was alive again. Diseh knew he'd come back to life. "I'm sorry, but President Zackary doesn't have anymore appointments today--- ohh!!" Diseh stomped his foot onto the table with a bang, resting his arm over his leg, "Listen lady, me and Spence-two over there have killed a lot of people to get this far," the silver haired warrior behind him unsheltered his blade as he overlooked the predicament, "They wanted to stop us too, but, well... You get the picture." "Uhh, okay... B-b-but," the terrified lady leant back on her seat. Diseh sighed in a pouted frown, "Listen, don't worry about your life... I was planning on letting you live and run away, okay? I don't hurt women, clone or not, it's my rule. I just thought it'd be nice to get the appointment, that's all... I have been working for Psyche for about 30 years, after all..." Diseh groaned, "Look, nevermind! Just go!!" The lady nodded frantically and made an escape, running down the hall she tripped over the carpet and landed by the warrior. She looked up cautiously as the kid looked down at her blankly. She screamed when he lent her a hand and rushed down the stairs. The dazed kid watched her leave, turning back to Diseh expressionless. Diseh chuckled quietly, bursting into laughter, "Naww! Don't worry about her, kid. She's just a scary-cat," when he started to settle down, his grin soon turned into a serious frown, "Anyway, if I've learnt one thing from our past and future, this will defiantly put a wrench in the works. If Zack is one of the last things our Master is even closely related too... God, I hope this works," Diseh stood up from the table and waved to the kid to follow him to the office, "Come on, kid. Let's make history." Clarke was with them when the flashback had ended.
" ---And that's what I did. I was then disconnected from our Master, and I couldn't control cloned pokemon anymore," Diseh sighed, "After we got away, I sent the clone of Spence on a few errands. He'll be okay. Also, sorry about murdering the President if he was important to any of you guys. And again, sorry for stabbing Spence in the chest of course, heh," he rubbed his nose, continuing, "As soon as I did it, our Master's been... It's say, non-existent so far. Ki and Xalia have been working alone with no commands or overview of our plot, which gives us the advantage. Ahahaha, they're probably **** themselves right now!!" Diseh burst into laughter in another one of his fits, and quickly chuckled it off, "Anyway-anyway, I'm not sure if President Zackary was pulling the strings or not, but it certainly stopped their commands when we did it and put him out of his misery, if you know what I mean." Diseh turned to the side, patting his hand impatiently on his hip for Matt, "If I know my stuff, Spence won't wake up anytime soon while he's recovering. Which gives us time to train for the Pokemon War I told you about at the tower. I've been screwing up the past for this very moment; to make you guys strong enough to fight all of them, and eventually destroy Psyche." "Wait!" Sarah ran over to Matt and placed a red and black pokeball into his hand, it had a black M across the top, "Take this. It's Snorlax. Spence gave him to me awhile ago to protect the Sanctuary, but now that we have all these new guys helping out, we don't need Snorlax anymore. Besides," she chuckled warmly, "All he ever does is sleep and eat everyone else's food while there's nothing going on. He's quite strong, and knows most of all the powerful moves a pokemon can learn in a lifetime. Snorlax is quite the one-man-army pokemon. Spence said Snorlax used to belong to a very old and dear friend to his. Please look after him, and in return, when you come back, I'll let you stay here and help me like you asked," she nodded, making a promise he couldn't afford to break. Sarah smiled, "Well, Diseh's waiting for you, right?" she looked to the waiting group outside, "Better not keep him waiting... Good luck, Matt." " So there's another human clone." Red looked up at Diseh, " So when can we get going to start our training?" Red wanted to start to get stronger as soon as he could, he wanted to be able to defeat Xalia himself. Red thought about the base Diseh mentioned earlier. " Where is the base anyhow?" Once Matt was once again with the party, they left following Diseh toward the forest clearing. They wondered for what seemed like hours as the forested seemed to get narrower and narrower as they proceeded. Finally, after going through twists and turns, they made it to a strange location. The place seemed very eerie. There was a mystical pond walkway before them, and across that a small shrine. If you read it, it would read: ‘the guardian of the protector of the forest sleeps here’. More notably, there was a strange wall of twisting trees and vines on the other side of it. As Diseh walked in along with the group, automated lights flashed on one by one as he walked on down the quite roomy hall. Vents and ducts lined the ceiling and continued onward. Soon enough, Diseh got to another sealed door which promptly and swiftly unsealed and opened. Inside the room, which took a few more seconds to light up with a continuous hum from above, the first thing you see is a massive widescreen monitor displayed all the way in the back. The screen had been shattered. Under it seemed to be an equally-sized control panel, with but few seats installed to the floor. There was a door beside the workstation which led into a virtual training facility, one they would soon utilise. To your right, were six great machine-type pods which could easily fit the largest of human beings, along with assort pipes coming from the backs and leading elsewhere. You could see through and into the pods to see the recovery process of the subjects. To the right of them was another door, leading to the bunk bedrooms, kitchen, showers and bathrooms. An overshadowing fan, along with the many air ducts fitted along the walls and ceiling, which explained why they could breathe fine fresh air and not eating dust. The place must have been here for ages. “Okay…” Diseh walked up to the pod’s control panel by the right hand side of them, he dialled in a code and pushed enter. Two of the pods opened, “Help the guys in there will you?” Once the two; Jet and Spence were inside lying roughly on their backs in a standing position, Diseh closed the pod doors and went back to the control panel, “Okay, now guys, don’t be freaked out… I’m not drowning them! !” he pushed enter only after another hand of typing, then a pink liquid of sorts started to fill the inside of the pods, until both Jet and Spence were fully emerged and sleeping in the liquid respectfully. Diseh walked over to the pod Spence was sleeping in as his black spiky hair floated upward, watching over him. He could remember when he was actually trying to kill Spence himself with Ki and Xalia. He chuckled a bit to himself, finding it kind of ironic. “Operator,” Diseh’s body was surrounded by holographic panels that span around him, “Take us to Motown,” they suddenly began spinning around until the room of white changed and glowed to the location. The buildings around them were in ruins caused by a blast which happened a long time ago. They were currently standing where the square used to be with rubble littered everywhere. The surroundings were a large plain of grass. Then, forests that led to snow-covered mountaintops all around them. It looked to be midnight, as a large moon glowed above them from the night sky. It was very beautiful. Red smiled as he unsheathed his sword. He slashed at the air with a blinding speed, spinning the blade in an array of techniques. After he was done Red turned and looked at Diseh, " Did you get all that?" Red launched himself at Diseh, katana held to strike. As he closed in on Diseh he yelled," My assassin name was Red Wind!" Red jumped into the air and began coming down, aiming for Diseh's arm. Diseh first slashed horizontally at the same blinding speed, using the first technique Red had just performed, with a little bit of a spin behind it, later outstretching the blade pointed directly to Red's heart, "Yeah, I think I got the gist of it," he smirked. With his arm outstretched, he called upon Operator again, "Upload Rayquaza!" suddenly, the green snake beast digitalised behind him and flew upward into the night sky, "This one isn't as strong as what Ki's can be, but it's a start if you ever go one-on-one with him. He'll most likely kill you if you encounter him. Your best shot is to run away, but if you're ever cornered and you don't have a choice..."
The somehow more normal Rayquaza flew around all of the party in a show and dance. As Red yelled out and propelled himself at Diseh, Diseh closed his eyes with a grin. Red's red katana flew and slashed right into Diseh's outstretched arm as pieces of data span down from what would have been his missing arm. The reality here wasn't real. He let Red do it to point that out to everyone. Diseh moved forward with both his arms intact, pushing Red back with his palm. "Very nice. But let's give each other some advice. Not a very effective method, but a nice finishing blow if the enemy was stunned. If you want to be torn from the sky before you hit the ground, continue doing that, Red Wind," he spoke as if he knew Red for awhile. He knew Red was smarter than that, he just wanted to point it out to be a smartass. "Okay," Diseh held his katana up above his head and stanced, "I'm ready for ya, pour everything you have into me. This time I'm not giving you the chance to lay a scratch. Rayquaza, attack the others." Rayquaza suddenly started to get aggressive and flew around at faster-paced speeds, ready to attack anybody at any time as a blue flame showered from its mouth. Red was glad that Diseh didn't really lose his arm. "I was just making sure that I wouldn't kill you. And just to make things a little more accurate... Operator, apply health bars." Little green bars hovered right under eye level. "Do you need a some extra health Diseh? We don't want you defeated so soon. ", Red mocked back. He ran towards him again. Red lashed out then spun around to Diseh's side and struck out at his legs. Diseh chuckled, gasping as Red lashed out again. He span around and Diseh moved just an inch off from Red shredding his ankle. Diseh replied by slashing two sword movements across the air so Red couldn't come any closer, losing balance and finally falling back as he blew out in exhaustion. Diseh laughed, "Ahahaha, Red!! You move JUST like HIM, back in the old days!!" Diseh recovered, standing with his sword again outstretched, "You probably know more about this Virtual Room than anybody else. Don't you remember it from your old base, training with Blue?!" Diseh came running at Red, after spinning the katana in the air, he did a cartwheel, jumping up out from it and giving Red a hasty downward strike. Red froze and was struck in his arm. He winced as it had a slight burning sensation. "How would you know about what I use to do? Blue has never mentioned you or have I ever seen you before in my life." Red looked down at his katana, remembering his training days. "As soon as your done training in here Red, we move outside for training." "Yes sir." Blue ran at him with a blue katana while Red was defending with his. Blue continued to bash Red's sword. "Come on now, you'll never defeat me if you don't swing. Hold nothing back." Red held his katana ready as the sun's light reflected off it. Blue rushed him and he was thrown off balance. Blue slashed at the air around Red's hands, leaving small cuts. This forced him to drop his sword. The flasback ended as Red looked down at his hands, small scars wrapping around them. "You wouldn't know what he was like!" Red became angry and charged Diseh, planning to pin him against the wall behind him. Diseh backed up quite a bit, slashing out continuously, hitting the wall behind him, back to back with it. He spun the katana around him, beginning to like the trademark movement of the sound it made in the air around him. Diseh grinned, "Heh, I actually do happen to know quite a bit about him. He was a friend, a member of Team Solaris before he created Colors. But Solaris was disbanded. He was the only one who survived, after all." Diseh kicked up from the wall and landed above it before Red could pin him, looking down to him, "I assume he's taught you everything he knew about swordplay. Hell, I never understood it. I never did beat him in close quarters combat. And I assume you can beat me, too. You remind me about him a lot. This is like the most nostalgic moment I've ever had in this shell," Diseh looked upon the blade and his pale arm, slashing it downward to his side, "It's as if Blue was right here now, battling me inside you. He was around your age back then." Diseh grinned again, giving a shrug, "Sorry if I hurt your feelings, Red. Just fighting with you brings back memories of 2010, being in Solaris, the good old days... Blue and I even fought at this same location, inside this very room... Now," Diseh span the blade again, throwing it up into the air. Diseh jumped out swiftly, catching it and driving it down to collide into Red, "TAKE THIS!!" Red jumped on the wall, his body parallel with the ground, and launched off in a spiralling motion as Diseh came down. As he dodged, Red spun his sword down onto Diseh. 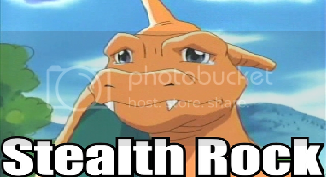 Once Red landed he knew that Diseh still had health. He took a deep breath, "If what you say is true, then this should be familiar to you." Red pulled out a pokeball that was concealed inside his belt buckle. "This was Blue's most useful pokemon and he gave it to me before the Psyche mission. Ditto, time to battle." A pink blob plopped onto the ground. "Sorry if this brings up sad memories. ", Red smirked in Diseh's direction. "Ditto you know what to do." Ditto jumped into the air and transformed into Red's katana. "Ditto is just as strong as the real thing. Me and Blue trained with two swords as well. Are you up to a two sword duel?" Red's last spiral tore right across his torso, Diseh just feeling it as he landed after and behind Red. Diseh limped and leapt away from Red before turning to his side to witness Ditto, its transformation and Red dual-wielding capabilities. Diseh smirked, "There's one thing you should know about me; I'm never sad. Memories..." Diseh reached out as another katana digitalised into his left hand, "...Are all I have. A long time after I was cloned, some things happened... I learnt to go back in time and I regained those memories back, memories back when I was still human." Diseh lifted his right blade in the air, spinning it slightly. Diseh had less than half his health depleted, "This is where I won't be able to keep up. But I'll try my best. Come at me!!" "And that's the magic word." Red smiled and ran at Diseh, blades crossed in front of his chest. Red slashed in the X formation at Diseh then quickly appeared behind him. Red was facing away from Diseh and whispered, "Why do you know so much about me? And don't give me any past bullcrap either, I want to know the truth. If you knew about Colors then you must know about my unknown past as well." Red smiled all of the sudden, "Oh and you'll know if I really did strike or not in a second." Red jumped from behind Diseh before he could attempt to strike him. Diseh stood still, his back facing Red as Red had just performed this legendary blow. Diseh couldn't run away from the attack now, it would follow him everywhere. He knew this all too well. Diseh closed his eyes and grinned as Red whispered to him, but Diseh was more focused on the after effects of the up and coming onslaught. Things became quiet. That's it... That's the same exact attack you always finished me with, over and over again. Well, Blue, this is for you... And, I'm sorry. "...I'll tell you when you need to know," Diseh turned his head, "On behalf of Blue, because you deserve to know the truth." Diseh inhaled all the air he could into his lungs, ready for the best. Suddenly, an immense amount of flashes filled Diseh's world. Diseh span both of his katanas up and around with each anticipated fury of lashes, reflecting each and every lightning-paced thrust of the late strikes. Diseh slashed both blades outward and stopped just as the flashes did, if not finally parrying the almost invisible combo Red had unleashed. Diseh smirked, starting to chuckle a little to himself. He suddenly burst into laughter. He stood up and turned to his side, looking to Red, taunting by spinning the katanas around like the smartass he was. He blew on the right katana to cool it. He had the largest grin on his face. "I guess I must be the first, right? Right?!" he gave the swords one last spin, "Great job, Red. I'm sure you could've beaten me if we continued, but I'm going to have to forfeit just this once. Sorry." Diseh chuckled with satisfaction written all over his face, dropping the two swords as they digitalised away. He walked over and placed a hand onto Red's shoulder. "Don't worry. I'll keep that promise," he looked over to everyone, "You guys can keep going. I'm going to get some rest... And Red," Diseh started to walk away behind him, "You should get some rest soon, too! We have plenty of time to train tomorrow." Clarke watched the epic battle break out between Diseh and Red he was filled with a rush of power and anticipation to train. He needed to focus and harness all of his skills. He ran off at a speed ignoring the legendary Pokemon acting aggressive. He went down the hall to find one of these Virtual Chambers, he walked in and it looked as if it hadn't been used in a while. "Operator, Battle. Summon Erika, Celadon Gym Leader." Clarke said hoping it would work. He was in luck. The room burst into life and took shape of the Celadon Gym. A hologrammed Erika appeared, "Welcome Clarke, would you like battle me?" The hologram said. “Okay, I don’t see why not.” Clarke said feeling stupid he was talking to something that was basically a computer. “Okay a double battle, is okay with you?” Erika asked. Clarke nodded. Instantly the setting changed to form the battle set up at the gym. It was basically like an indoor greenhouse. Lots of grass and flowers everywhere. “Okay let’s begin. Victreebel, Roserade come on out!” The two grass types burst from there balls. Clarke wanted to train and he knew this was a good idea. “Glaceon, Gardevoir battle dance! Let’s go!” Clarke said summoning the Pokemon. Erika and Clarke’s battle lasted what seemed to be, forever. The Pokemon battled with grace, style and power. Clarke had the type advantage but Erika had her many skills as a Pokemon gym leader. Overall Clarke was happy with his Pokemon’s performance. And he knew they were a force to be reckoned with. Now it was time for Clarke’s training. Red watched as Diseh walked out of the room. "There's no way. Operator, show me Diseh's health meter before he left." The green meter appeared before him, half of it green. "I've never heard of anyone knowing how to counter that." Ditto, who already transformed back, slid over to Red. He picked him up into his arms,"Hey little buddy. You did a great job out there. That was one of toughest sword battles that both of us have been through. I'll let get some rest." Red returned Ditto and put the pokeball back inside his hollow belt buckle. Red stretched his tired muscles. I should probably take up on Diseh's advice and get some sleep. Red walked out of the room and headed for the bunks. ]Jimmy watched the two in their duel. He took out his knife and played with it a bit, picking at the blade. "Oh hell, might as well try out my new idea...um...Operator, simulate: Ho-oh!" The majestic bird rose from what seemed to be thin air and extended its massive wings. "Jimmy looked up with a smirk. "Ello, Beasty...we meet again, do we not?" He pulled out two pokeball and unleashed Charizard and Pachirisu. He lept up on Charizard's back as Pachirisu jumped to his shoulder. "Been awhile, hasn't it, Patches?" It cheered in excitement and nuzzled to him. He laugheed and pointed at Ho-oh. "Remeber him?" Charizard growled. "Good...but now we have ammo." Pachirisu clung to Charizard's neck as they took off. "Don't worry, nobody here will get hurt!" They nodded. "Now go, Delta 2!" The three rushed at Ho-oh as Pachirisu shot a Thunderbolt, stunning it and Charizard comboed with a Dragon Claw. Unflinching, the bird continued agaisnt them. "Good! If it were any other, we'd have got it." He thought. Damn...my others are too heavy for Charizard to hold... Ho-oh raced back for an attack. "Charge!" As the two collided Jimmy was knocked from his back and crashed hard to the ground. "Heh, this place is great!" He got up and brushed himself off as Charizard flew back to him.